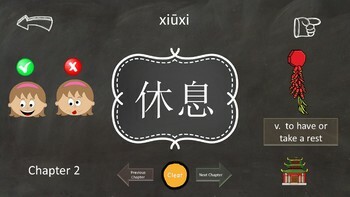 174 slides of chinese characters and their meaning in english. includes buttons and tabs. 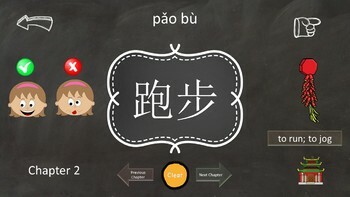 Includes all new words for all 15 chapters of peking university press HSK 2 test prep study book. 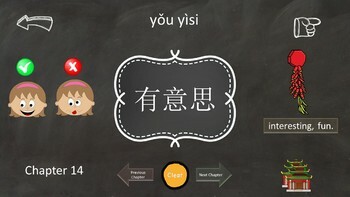 this is the easiest way to review your chinese characters and keep track of which ones you got right and wrong.